The beautiful Engstiligen Fall is situated near the mountain village of Adelboden in the Bernese Oberland region of Switzerland. 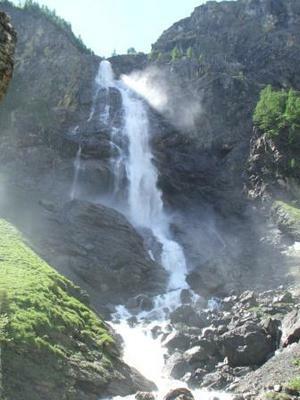 It is the second highest fall in Switzerland and has been a national preservation area since 1948. 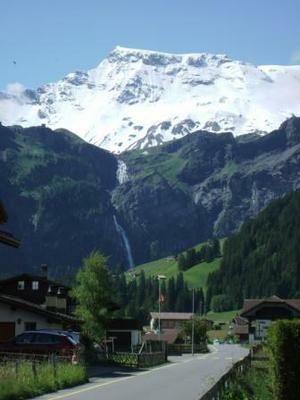 Leaving Adelboden behind you, follow the road to the head of the valley and there cascading over the cliff in front of you in two drops is the Engstiligen. 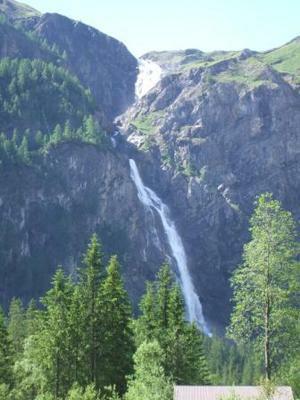 From the car park it is an easy ten minute walk to the foot of the fall, or there is a cable car which transports you to the Engstiligenalp, the plateau at the top of the fall from where many hikes can be started.